Audio Adrenaline is a Christian rock band formed in the 1989 at Kentucky Christian College in Grayson, Kentucky, United States. Along with DC Talk, Newsboys, and Jars Of Clay, they quickly became one of the most successful Christian pop/rock bands of the 90s. They are best known for their 1993 hit "Big House," and were a main attraction at the annual Creation Festival, Spirit West Coast festival, and Agape Music Festival. Audio Adrenaline was also a staple at the Alive Music Festival where it taped its live concert DVD "Worldwide." The band was formed under the name of A-180 by Mark Stuart, Barry Blair, and Will McGinnis. (As of 2005, Stuart and McGinnis were the only remaining original members.) The three men, along with Ron Gibson and Mark's brother, David, became a popular local band?booked by the school nearly every weekend. The band's big break would come in the form of Bob Herdman. Bob went up to Audio Adrenaline with two songs he had written, "My God" and "DC-10". 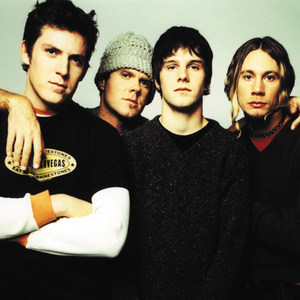 After "My God" was recorded?under the band name Herdman had created, "Audio Adrenaline"?it was sent to radio stations and scaled the charts quickly. Forefront Records decided to offer a record deal to A-180 but had them change their name to Audio Adrenaline. Bob joined the band, and David left to focus on his family. in 2007 it was announced that Audio Adrenaline, after over 10 years as a band, had decided to call it quits. The Reason given was that lead vocalist, Mark Stuart, is having "ongoing vocal challenges". Their final album appropriately titled 'Adios' was released 1 August 2006. The band was to play their final show on April 28, 2007 at the Waikiki Shell in Honolulu, Hawaii. At least that was the plan. But when their steadfast fans just couldn't let them go there, Audio Adrenaline extended their tour with MercyMe and came back to the mainland, playing their final shows in Spokane Washington and a few other cities on the west coast. The Kings and Queens Songfacts reports that In 2012 Audio Adrenaline reformed with an altered line-up after a five year hiatus. Original bassist Will McGinniss continues as a member of the re-formed band while co-founder Mark Stuart, although stepping down as lead vocalist due to ill health, is very much a part of band decisions and contributes to the songwriting. Taking over lead vocals is Kevin Max, formerly of DC Talk, while CCM mainstays Dave Ghazarian (Superchick) is on guitar, Jared Byers (Bleach) is the band's drummer, and singer-songwriter Jason Walker plays keys. "Kings And Queens" is the first single released by the new line-up.